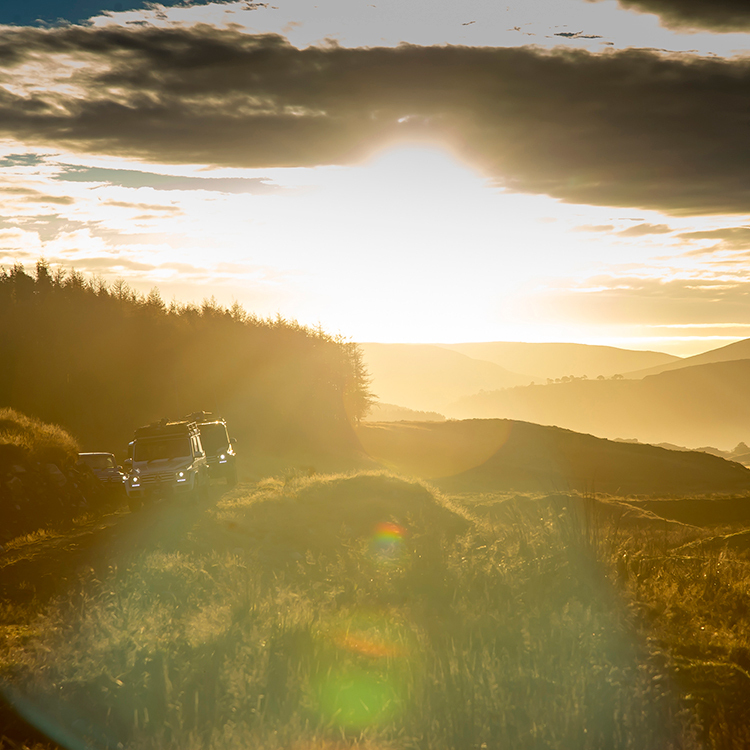 You take the high road and I’ll take the off-road – and you will probably make it across Scotland long before me. However, I can guarantee nobody would have as much fun as I did driving the 65 miles from coast to coast over some of the roughest terrain in Britain. The ultimate Highland fling took 18 months of meticulous planning and the agreement of 11 wealthy landowners. 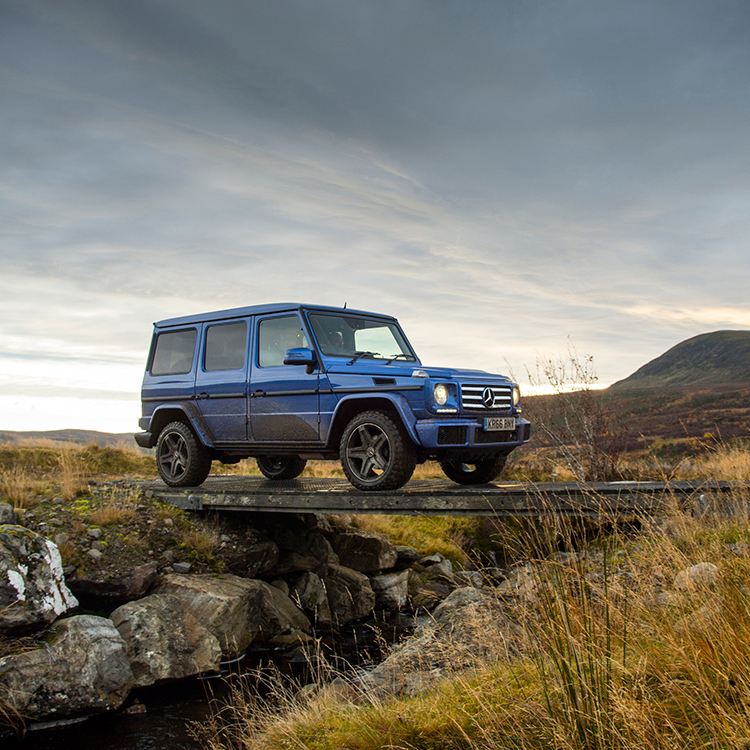 Many thought the 4×4 adventure was impossible but they hadn’t banked on the off-road capabilities of the Mercedes GLS and legendary G-Class, otherwise known as the G Wagen. Organisers asked me to keep the exact route a secret but I can tell you the drive starts on a beach north of Inverness and ends near the remote west coast town of Ullapool. Along the way there was little but rugged scenery to guide me. I was also warned that I would encounter countless locked gates, demolished bridges and a peat bog that will sink both hearts and tyres. The weather would likely flip from brilliant sunshine to freezing snow and I would need every piece of equipment in the off-road arsenal to make it on time. There are 12 Mercedes off-roaders lined up on the beach for the two-day expedition. Most are G-Glass models but I’ve picked a GLS – more likely to be spotted around Chelsea than mud-plugging through the wilds of Scotland. The seven-seat SUV is Mercedes’ answer to the Range Rover and has a cabin decked out in pure luxury. But a Harmon Kardon sound system and quilted leather seats won’t come in very handy on the trip I’m making. Instead, I’m planning on Dynamic Select drive modes and air suspension to iron out the bumps. 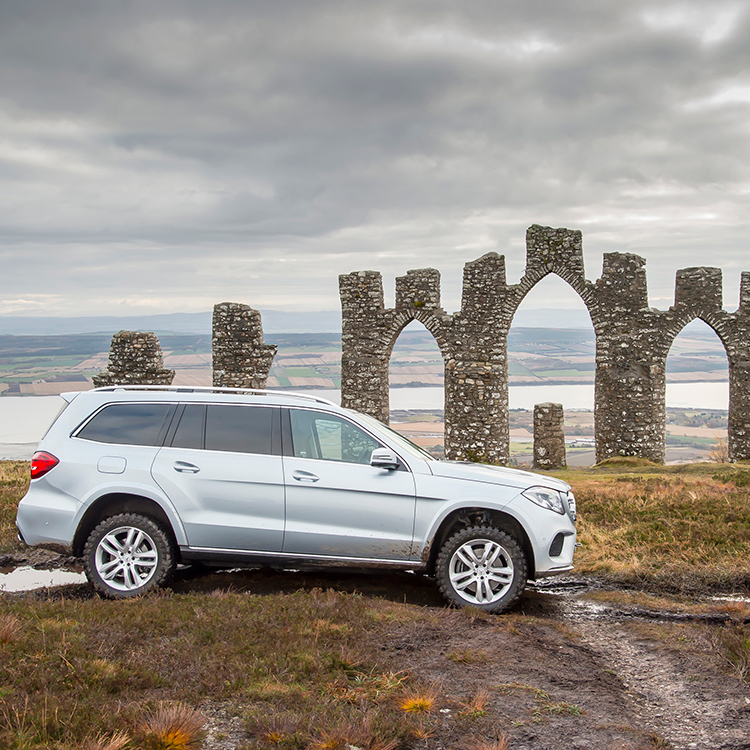 And unlike any Mercedes you buy from a showroom, my GLS features a set of enormous off-road tyres that will tighten up the grip when the going gets really tough – which is pretty much from the start. It’s far more road-orientated than the G Class, which is visually little changed since it launched in 1979. 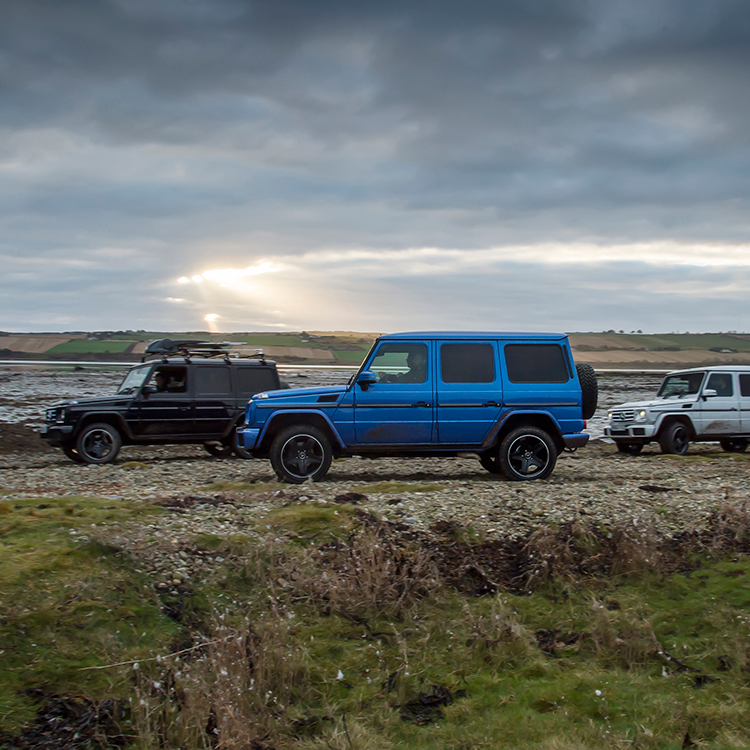 Despite having the aerodynamics of a brick, the go-anywhere vehicle is now the longest-running model series in Mercedes history. The G stands for ‘Gelandewagen’, meaning cross-country vehicle. The G Wagen won the Paris-Dakar Rally outright and has been the transport of choice for two Popes. 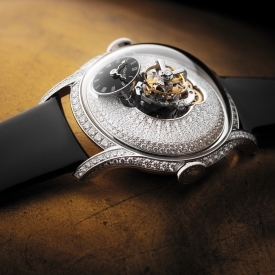 Each one takes 40 hours to build by hand at a factory in Austria – just 14 roll off the production line every day. 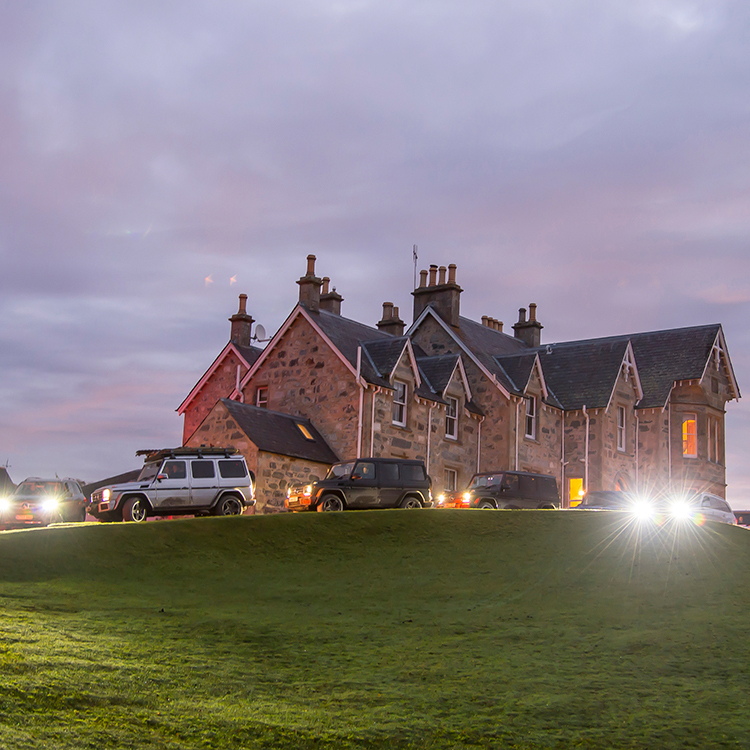 The Novar Estate spans 20,000 acres and borders the coast near Inverness. As we are sent on our way by a lone piper, the task of the job soon becomes apparent. The tracks across Novar are driven by forestry lorries and service vehicles for Scotland’s first ever wind farm. Their enormous wheels have left deep ruts that now gush with a slippery combination of rainwater and pine needles. Rocks jut out from every angle but the GLS air suspension allows me to increase ride height without even stopping. The first stop is Fyrish Monument – a replica of the gates of Negapatam in south India. General Sir Hector Munro is an ancestor of the current owners of the estate and the stone edifice celebrates one of his victories in the Anglo-Mysore War in 1781. More importantly, the monument is providing handy shelter from a biting easterly wind. The same icy blast powers Novar’s spectacular wind farm, with 50 turbines pumping out power into the National Grid. With no off-road satellite navigation for remote areas like this, I’m relying on maps to provide names for some of the scenery. The first big descent drops down past Loch Morie, the water source for Dalmore whisky. Nearby are the remains of Creag na Cille chapel. A lunch stop has been arranged on the Kildermorie estate, bought by Charles Perrins in 1912 – one half of the Lea and Perrins sauce empire. From here, the route follows the River Carron, famous for salmon fishing. Some of this area is said to be more sparsely populated than the Sahara Desert. It’s unlikely many GLS owners will ever venture further off-road than the pavement outside Harrods. However, it’s hard not to be impressed by the off-road capability. Provided I find the right drive mode, it’s impossible to unsettle the SUV on any surface. The start of the second day is different, as the route crosses some Highland flats caused by an ancient glacier. The meandering Rhidorroch River has created a perfect bog which requires artificial tracks to be laid so every vehicle can cross at a snail’s pace. It takes two hours to get every vehicle safely across before a gentle descent towards Rhidorroch Loch. The GLS sports some muddy battle scars but has no difficulty keeping pace with the G Glass. Sat on heated seats and listening to Classic FM, I imagine there’s an air of refinement in my vehicle missing from the rest! The last few miles to Ullapool are some of the easiest. For once I’m travelling at speeds in excess of 10mph. Sea buzzards swirl overhead, while sheep and cattle graze the lower fields. 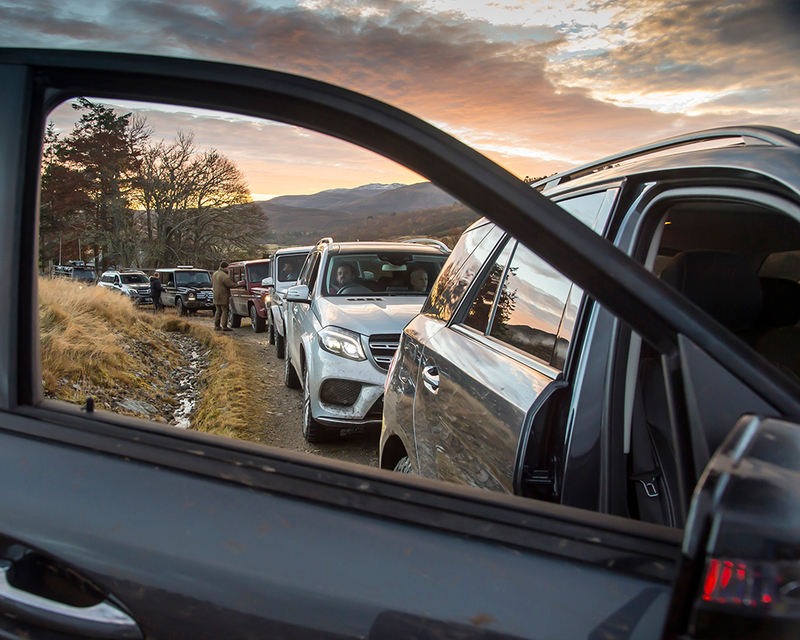 It seems the locals have heard about the Mercedes adventure and turn out to watch us cover the final ascent to the east shore of Loch Broom. It’s unlikely anybody will make this journey again for many years. 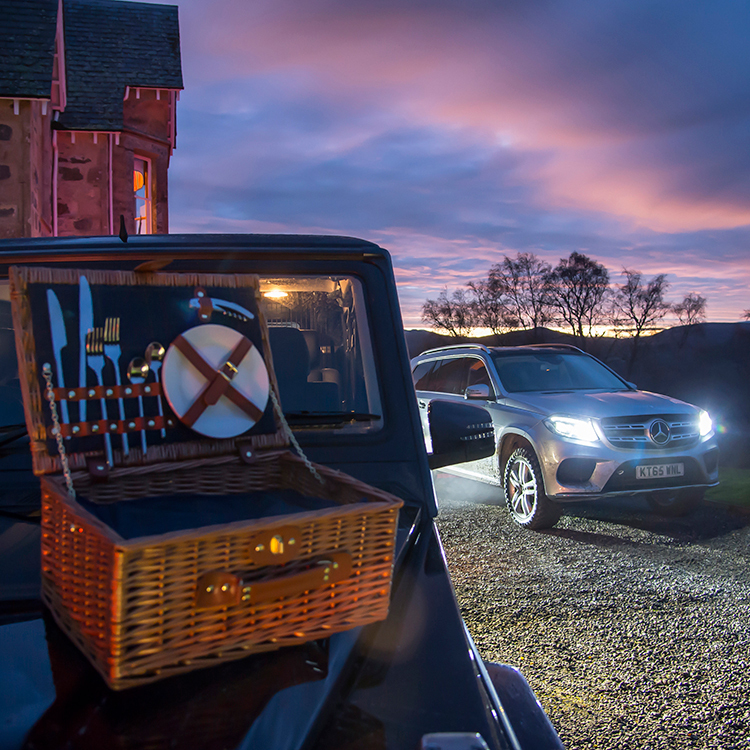 Travelling coast to coast across Britain’s mainland without using any public road is a one-off adventure – largely made possible by the off-road ability of a Mercedes.